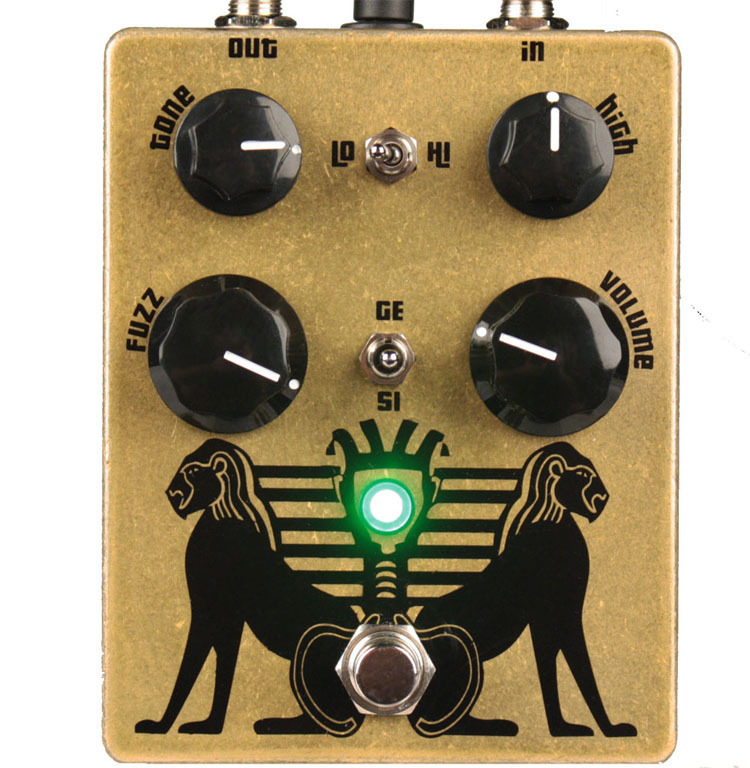 Fuzz for the discerning tone seeker. The Black Arts Toneworks Pharaoh is capable of tones ranging from a clean-ish boost to a good articulate OD, but the Pharaoh thrives in bringing open hairy fuzz to a clean amp. The Pharaoh's dual tone control is specifically designed to retain your guitar's tone and maintain the character of your pickups. There is no volume loss with this pedal's tone circuit, no drastic cuts or boosts leaving you wanting. The Pharaoh will leave your tone intact and add the soul-stealing doom you need to push your sound into the next world. The fuzz control alters the amount of clipping. From a clean boost to a slight overdrive all the way to feedback mayhem the Black Arts Pharaoh covers all the bases. The Hi/Lo Input switch controls the first stage of headroom and clipping. With the switch in the Lo position the headroom increases, in the Hi position the clipping increases providing you all the growling fuzz tone your heart desires. The bottom switch is a three-way toggle to switch diodes (germanium, no diodes, silicon) adding even more versatility. With the silicon diodes in the circuit the pedal will add clip with less volume or add the germanium With the diodes out, the headroom increases with less clipping. The Black Arts Toneworks Pharaoh was designed with specific signal capacitors which pass all frequencies so none of your sound gets left behind.